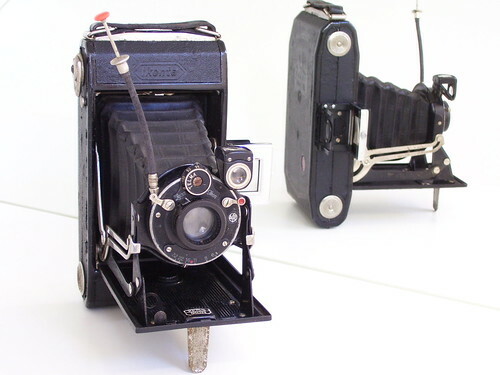 The 520/2 is the first in the long Ikonta line of a folding cameras, produced by the German company Zeiss Ikon. It takes 8 images size 6x9 cm on 120 type rollfilm and comes equipped with a variety of lenses and shutters. It was also sold as the Ikomat C 21/4 x 31/4. This page was last edited on 3 January 2019, at 18:40.